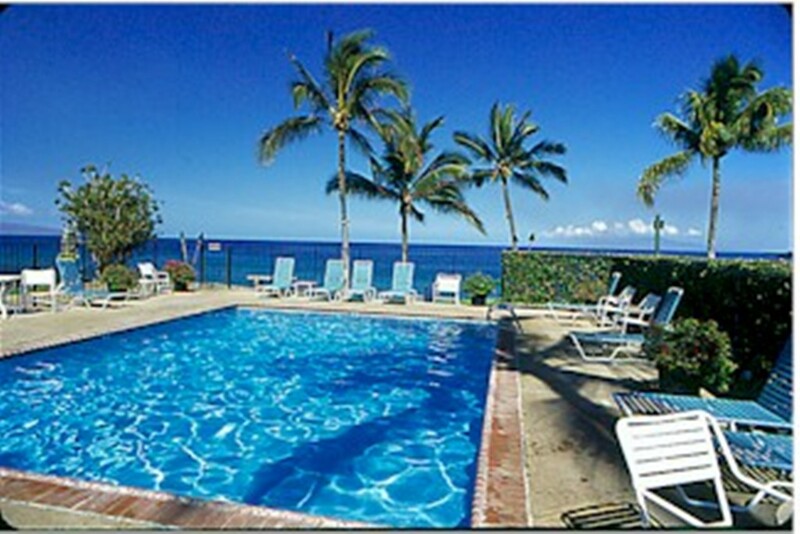 Kihei Surfside Resort is located at 2936 S. Kihei Road, South Kihei at the entrance of beautiful Wailea. This is the desert part of Maui, where the sun shines more than any other part of the island. The Kihei Surfside Resort consists of an absolute oceanfront concrete building of 6 floors and 84 deluxe units with an elevator. There is free parking on site. The resort is a twenty-five minute drive from the Kahului Airport (OGG). Rental cars are available at the airport or in Kihei town. There are also taxis available at the airport (about $50), a shuttle bus and public transportation. Virtually all of the properties and resorts in Kihei are either located right on busy S. Kihei Rd., or if they are set back from the road - are across from the street from the ocean. One unique feature of the Kihei Surfside is that it is located at the quiet end of S. Kihei Road, AND is set back 300 feet from S. Kihei Road AND is located right on the ocean! 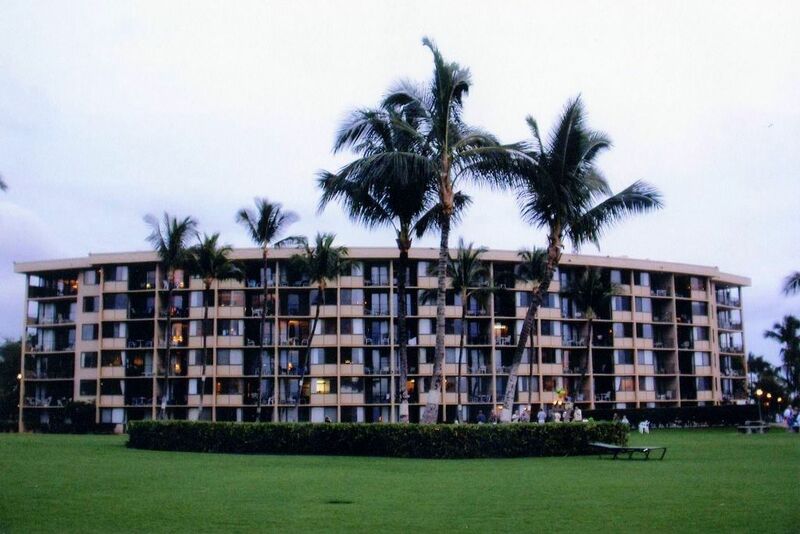 Because it is hard to see from the road, many first time Surfside guests say that even though they have visited Kihei many times, they had never seen the resort! Another unique feature of the property is that we have a 2 acre, immaculately kept oceanfront lawn area with dozens of loungers, with a heated swimming pool and deluxe barbeque facilities. In season, there are daily whale sightings from both the grounds and lanais. In fact, the Pacific Whale Foundation conducts their annual whale count from our property. The building is located at the north end of Keawakapu Beach, one of the most beautiful beaches on Maui, where you can walk for miles past some of the most expensive oceanfront homes on the island and the luxurious hotels of Wailea, including the Grand Wailea Hotel. It is customary for the residents of the Kihei Surfside to gather each evening for cocktails on the shore near the tiki torches for a traditional Hawaiian sundown ceremony. Feel free to join in - this is a great opportunity to meet your neighbours and fellow vacationers! There are two very nice oceanfront restaurants within 100 yards of the resort; the Five Palms and Sarentos on the Beach. You can see other close by restaurants on this map. Right across the parking lot from the Surfside is an upscale deli/grocery/wine store, Zach’s. Other larger grocery stores in Kihei, a short drive from the resort are Safeway, Foodland and Star Market. The island also has a Costco, Wal-Mart and K-Mart. We do not officially endorse any of these products or services, but provide you these links to help you plan a great vacation!